Have you been hearing about the PVPP method? Wondering how it’s done? Look no further! 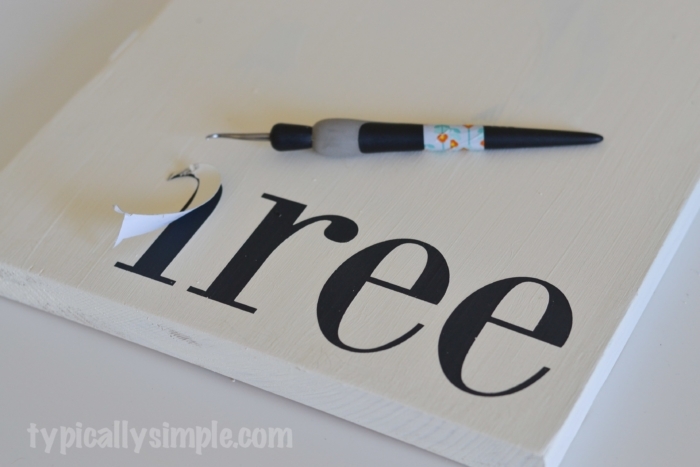 Here’s a step-by-step tutorial on how to use your Silhouette to create a hand painted sign using the Paint, Vinyl, Paint, Peel method. Whenever I pop into Silhouette groups on Facebook, looking for some crafting inspiration, I usually see a few threads discussing the PVPP method. Questions about how it’s done, tips for getting crisp, clean lines, what the PVPP acronym stands for. 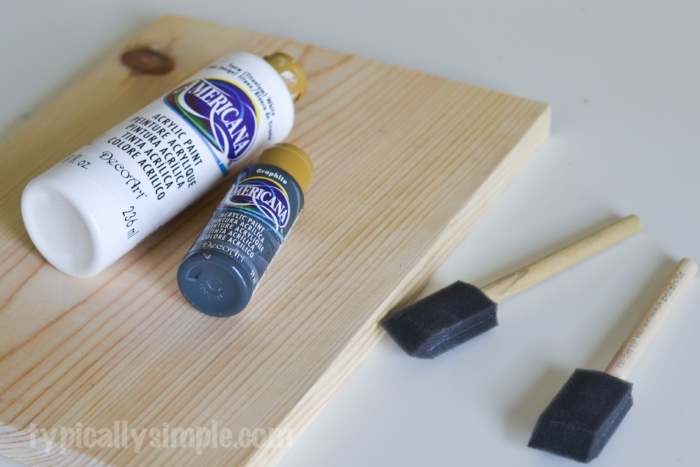 The PVPP method was actually what I used the very time I painted wood signs. And I had no clue that’s what it was called! These days, I tend to use the stencil method to paint signs because it’s a little easier to use with lots of paint colors. 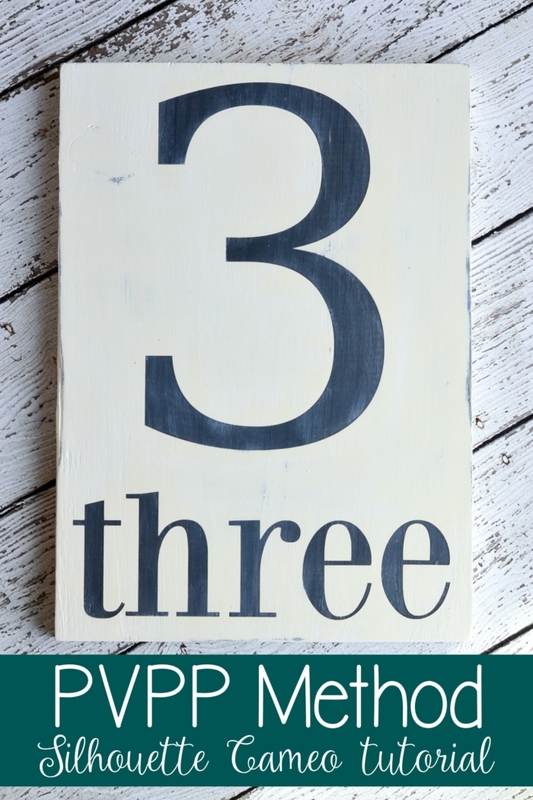 But for a basic sign with just two colors, like this number three sign, the PVPP method is perfect! 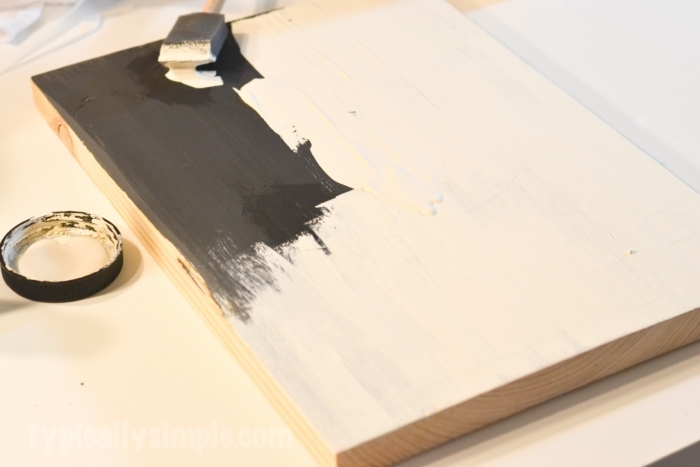 I like to paint my base coat onto the wood board before working on and cutting out my vinyl. That way the paint can be drying while you are designing! For the first step of the PVPP method, you paint the color you want for the letters and design. In my case, I wanted the letters and 3 to be a dark grey, so I painted the whole board that color first. While you are waiting for that to dry, create a design in Silhouette Studio making sure to size it to the wood board you will be using for your sign. I like to make a rectangle in Studio that is the same size as my board to help plan out the size of my design. 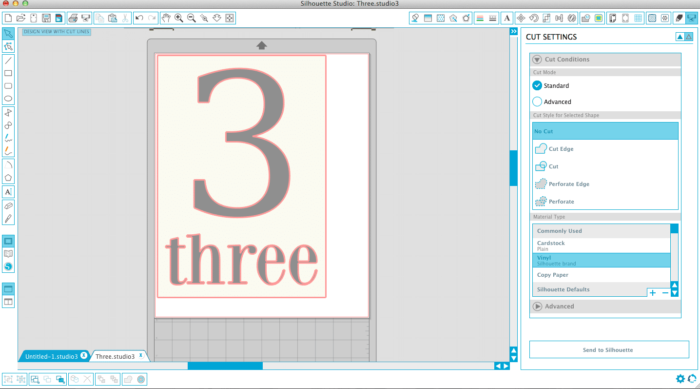 Using the settings for vinyl on the cut screen, send your design to your Silhouette. Now you will want to prepare the vinyl for the next step. For a stencil method, you would weed out all of the letters and design. But for the PVPP method, you want to leave all of the letters and your design on the vinyl backing. So you will pull off the large piece of vinyl, leaving the design on the backing as you pull. Some of your letters and design will still have a little bit of extra vinyl inside – the letters e, o, p, b, etc….you get the idea! So you will want to use your weeding tool to pull those out before the next step. 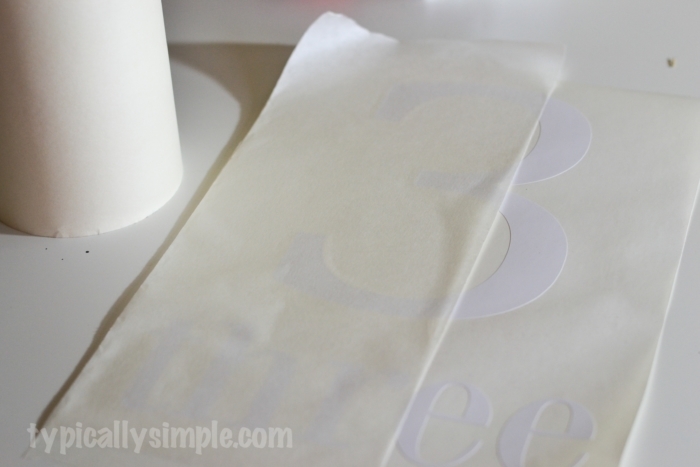 Now that you have your design weeded, you’ll want to apply transfer tape to the whole thing. Contact paper also works for this part…but the first time I used transfer tape, my whole vinyling world was rocked, so much easier to use! I highly recommend investing in some if you plan to craft with vinyl a lot. So back to applying the transfer tape. 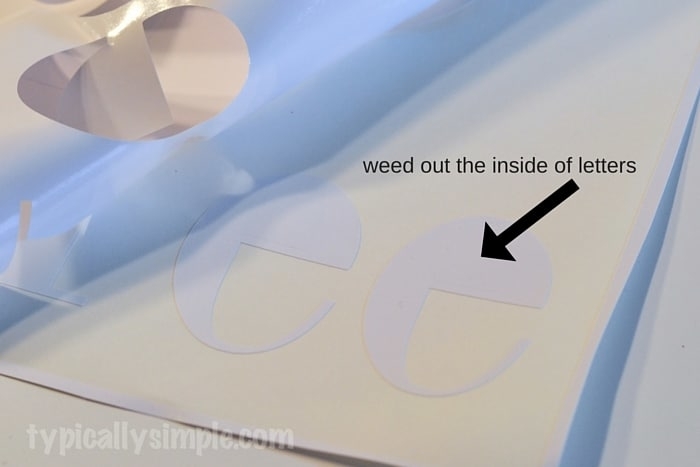 After you place the transfer tape on your design (you might need a few pieces depending on the size of your design) rub it with a burnishing tool to make sure the vinyl sticks to the tape for an easy transfer. 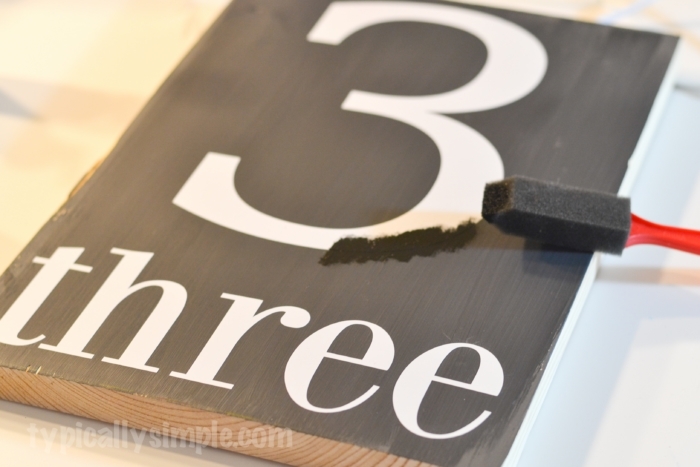 With the transfer tape, peel the design off the backing paper and place it onto your wood board. Before you burnish the design onto the board, check that it’s looks even and in the right place. Then burnish and peel off the transfer tape, leaving the vinyl on the board. Before the third step of the PVPP method, I like to “seal” my vinyl. This helps achieve those crisp lines. Using the same color as your base coat, use an up & down, stippling type painting motion around the edges of the vinyl. Since you are using a very light layer of paint, this should dry pretty quickly so you can get started on the next step! This second round of painting is going to be for your top coat. So whatever color you want your sign to be (minus the letters/design) this is it. In my case, I wanted my sign “background” to be a cream/white color, so using that color paint, I painted over everything including the vinyl. Depending on your colors, you might need a second coat of paint. Since I was going with a light color over a dark color, some of the grey was showing through. Once my first coat of white was pretty dry, I painted the whole thing again with that color for a second coat and better coverage. Now this part you will get lots of different opinions on when to peel. Some say when the paint is still wet, others say when it’s completely dried. I have tried both ways and do not notice a difference. Since I tend to be messy when painting, I always wait until the paint is pretty much dry to do the peeling. And by peeling, all that means is just peeling your vinyl letters off of the wood. I use my weeding tools for this part. 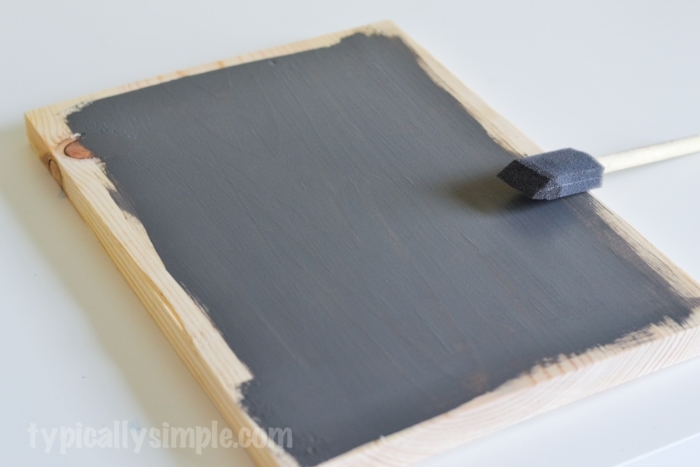 Once you have all of the vinyl peeled off your board, you are done with the PVPP method! Easy peasy! I usually sand down my design a little to distress it. And depending on where it will be hanging it up, add a coat of wax or sealer. 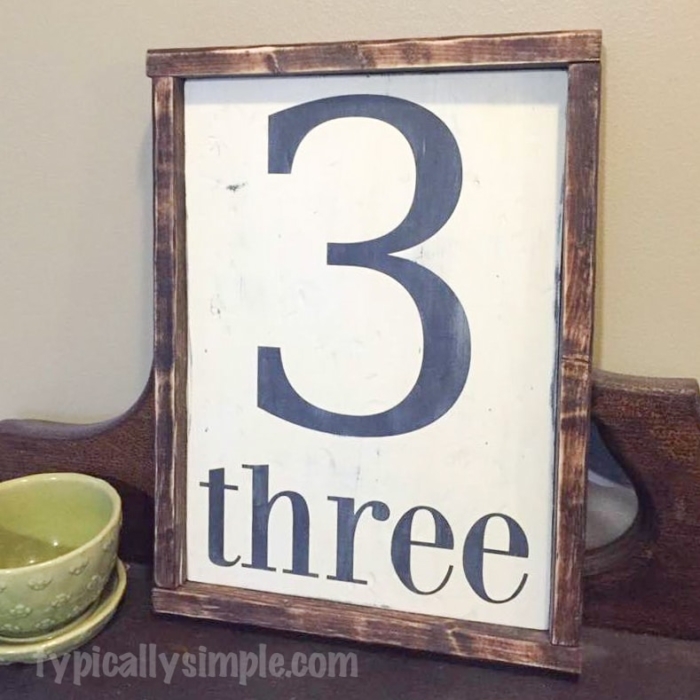 With this sign, I distressed it and then framed it out with some stained wood furring strips. I will be adding it to the gallery wall that has been in the planning stages for months. Maybe now I will finally start hanging some things up! Have you tried the PVPP method? Any tips or tricks you have learned along the way?